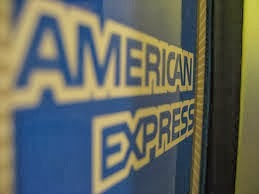 Mobile app is everywhere and this pushed American Express to go Mobile. Yes, this card company is already on its way to the latest technology in payment system, mobile wallet. Indeed, not only Visa and MasterCard do their augmentation with online and wireless transactions in paying almost everything but American Express as well. However, the latter is not on the race with the formers although they have common goal, be the most efficient and leading in mobile wallet technology. Moreover, American Express is one of LSIS key members of which are in business with Verizon Wireless, At&T, and T-Mobile. With this, surely the goal is not far of reach. According to David Yoo, Senior Vice President of mobile products and services for American Express, with how fast paced everything is in technology, they themselves really have no idea where mobile payment is heading. As of today, myriad of mobile wallets are off for choosing, so it is really hard to pin point which technology is certainly on the head of the game. Also, one of their biggest concerns is actually that their card members to use their cards in whatever platform they would want to choose. In addition, although American Express aims the least to be the end-all in mobile wallet technology, but what they hold for now is that they will continually work things out to get more of everyday use with American Express mobile app.